Beautiful Akaroa Harbour in the distance. Exactly two months ago today, my feet found their way onto the Auckland city pavement after a flight over the Pacific. Ever since that giddy day, I've been surrounded by the infamous Kiwi kindness and a dazzling array of natural beauty that keeps getting better and better - and I'm pretty sure I'll never want to leave. Every single day in this beautiful country brings a new surprise, whether it's an unreal sunset, a new mountain vista I haven't seen before, a random act of kindness from a neighbor, or an epic adventure with a new friend. New Zealand really is a wonderland. I had a chance to take a few weeks of work and venture around the South Island for a bit to get a real taste of what this place is about. I'll be publishing bits and bobs from the trip over the next few weeks, as there's simply too many gorgeous photos and locations to try and cram into one post. I want to at least try and do it justice - but really the only way to do that is to convince you to come down here and see it yourself! Since I was driving south from Kaikoura, there was no better place to start the adventure than the small town of Akaroa on the beautiful Banks Peninsula. Just 75 km's from Christchurch, this historic French and British settlement is nestled right in the heart of a beautiful volcano. With only a day to spend exploring here, I made sure to get out on the water to see as much of the peninsula as I could. I went out with Black Cat Cruises and I really can't recommend them highly enough! I went on a scenic harbor tour, forgoing the Hector's dolphin swim for time constraint reasons, although they offer both types of tours. I could barely control my excitement over the stunning vistas we were able to see. 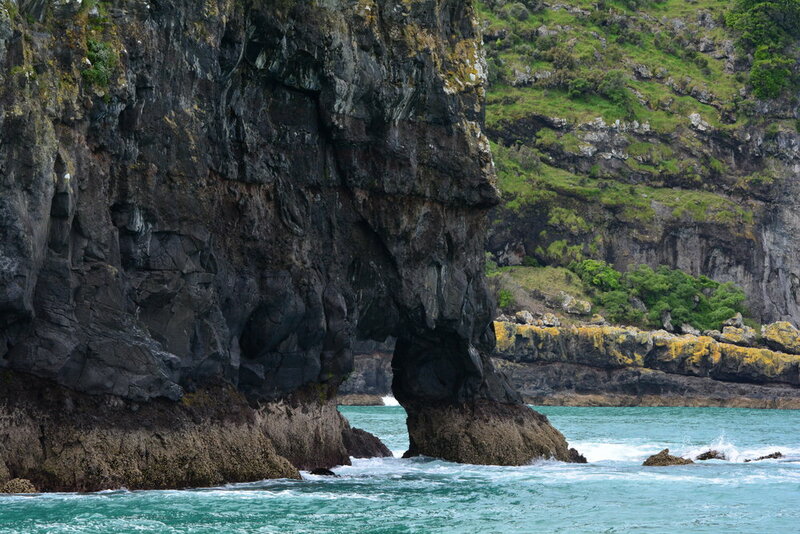 The geological history of the Banks Peninsula and the Akaroa Harbour truly shows itself in the dramatic coastlines and beautiful cliff and rock formations. There was something new to ogle at around every turn. Bit cloudy as we were approaching the town, but it led to the mystical appeal. And is typical New Zealand weather, always unpredictable! And don't even get me started on the wildlife. 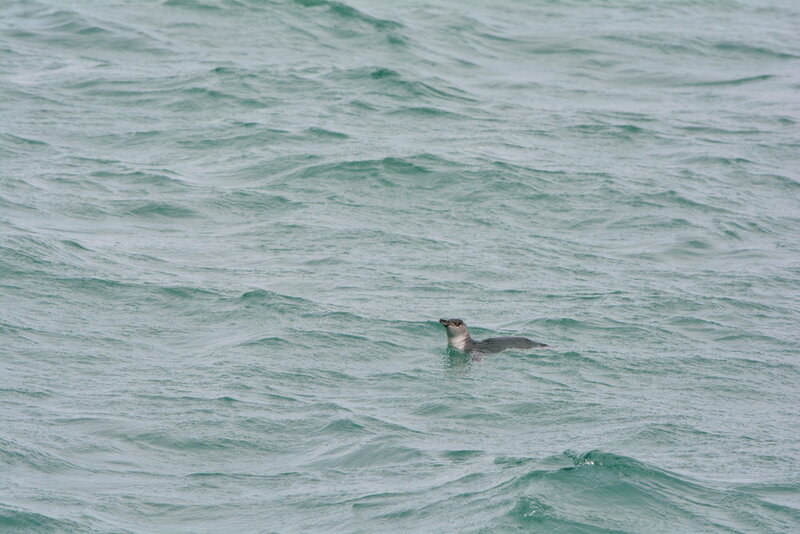 There's an incredible variety here, but I'll admit I was most excited to see the wee Hector's dolphins. These are the world's smallest and rarest saltwater dolphin, and you can only see them in New Zealand. 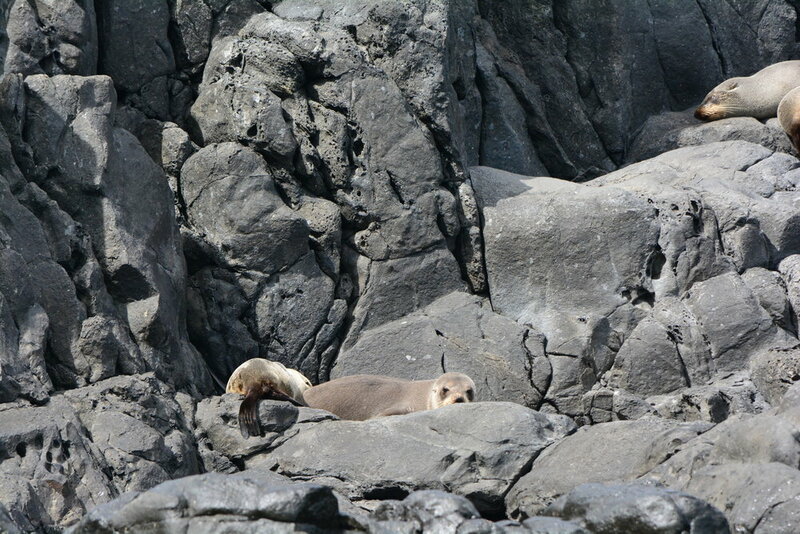 Although we do see them in Kaikoura, there's a much larger population that is seen regularly in Akaroa. They are one of the cutest things you'll ever see leaping out of the ocean - they even have rounded dorsal fins! The world's smallest and rarest saltwater dolphin - only 1.2-1.4 meters long, and only seen in New Zealand. 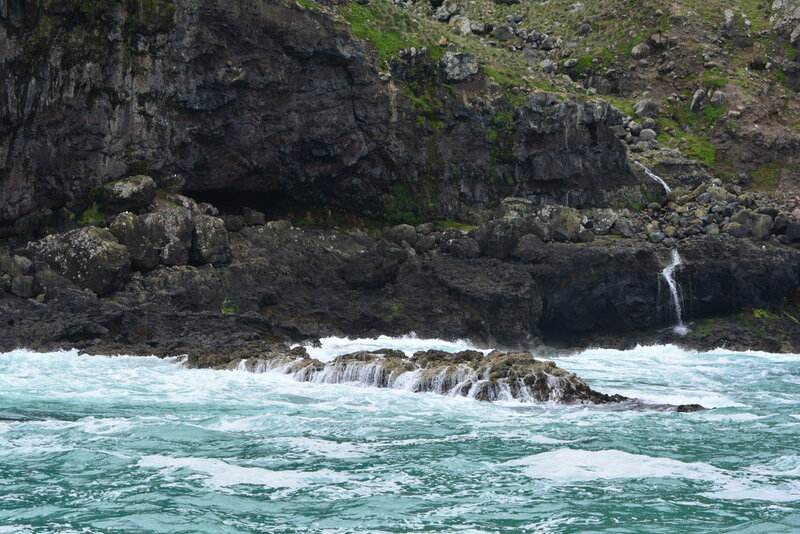 We were also treated to views of the little blue penguins, New Zealand fur seals, and scores of other birdlife. The marine biology nerd in me was on full throttle. New Zealand has some pretty pristine natural areas, and I don't take a single moment for granted that I get to spend outside. 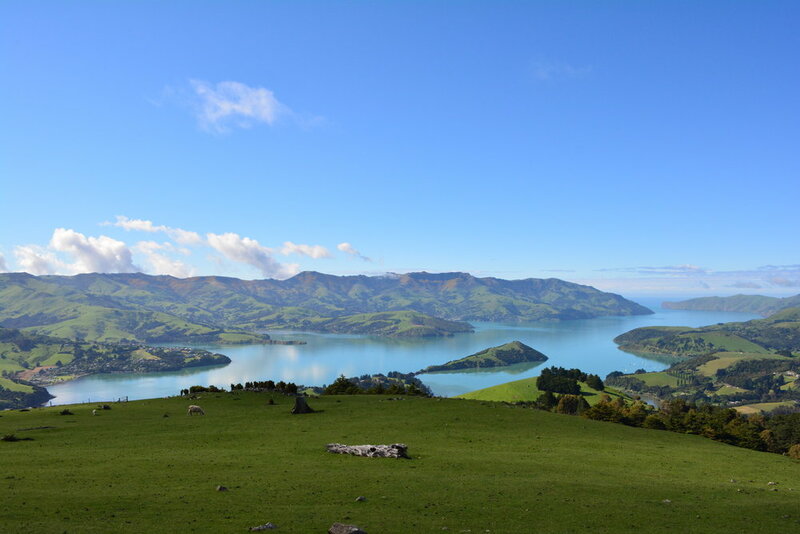 I ended up trying Couchsurfing for the first time that night in Akaroa, and it was an interesting experience! It's so amazing that kind-hearted strangers will open up their homes just to help support the travel community and meet new people. What a world we live in! It really made me keen to start hosting Couchsurfers once I'm more established; it's the perfect way to give back. After waking up and deciding it was time to head out and head south towards Dunedin, we packed up my Subaru and cruised out of Akaroa, escorted by the most beautiful sunrise. The way the light painted the hills around us was poetic. If you have a chance to and are visiting the Banks Peninsula, make SURE you take the Summit Route on either your way there or your way out. If the weather is right, you are treated to the most stunning views. They'll quench your wanderlust and simultaneously make you hungry for more! We stopped to make coffee and breakfast at a viewpoint halfway along, started the morning with a quick 45 minute hike up to an even higher viewpoint (Ōtepātotu Scenic Reserve), and reluctantly continued our drive away from the peninsula. The beauty of New Zealand, though, is that you know there's something just as great waiting for you ahead. What's next for us? Dunedin and the Catlins.